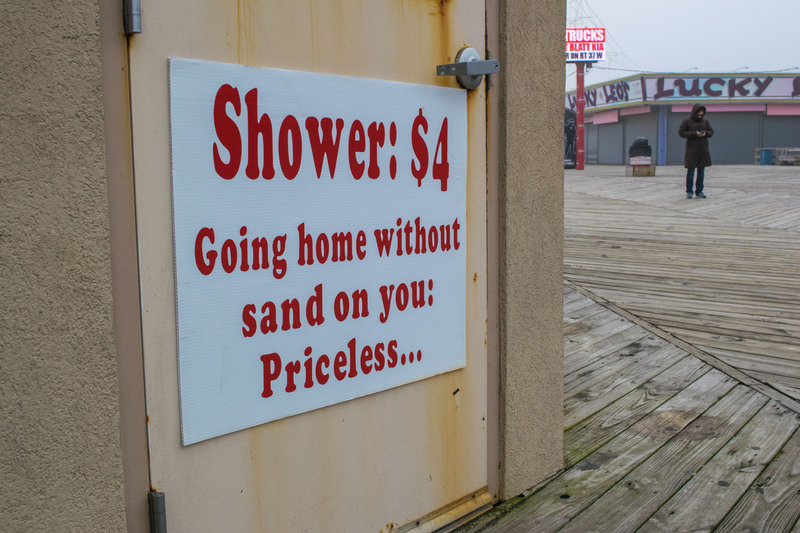 Seaside Heights will expand its main boardwalk comfort station in time for the summer, but it will be at the expense of the hot shower concession. As the borough attracts more families to its boardwalk, lines have gotten longer for restrooms, officials have found. This summer, with a much-expanded beach, even more guests could decide to come to town. And, of course, nature eventually calls. Borough Administrator Christopher Vaz said the hot shower concession between Webster and Hamilton avenues will be converted into a new restroom facility. The renovation will add eight stalls in the women’s bathroom and five urinals in the men’s bathroom, which should help alleviate lines. Construction is estimated to cost about $250,000, with the borough issuing bonds for $237,500 in order to finance the project. “The lines are definitely too long,” he added. The borough amicably worked out an agreement with Smith to allow him to lease and operate a parking lot in exchange for giving up his contract to operate the showers.